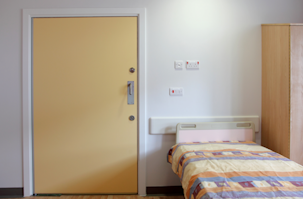 Various documents, including BS 8214, stress the importance of specifying the appropriate classification of doors to ensure long-term performance under anticipated uses. 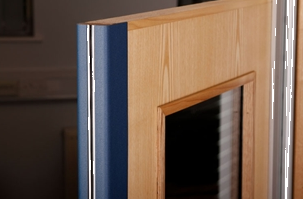 These classifications are best derived from tests described in BS DD 171 : 1987, ‘Guide to specifying performance requirements for hinged or pivoted doors (including test methods)’, although equivalent European standards are now available. LD light duty – low frequency of use by those with a high incentive to exercise care, e.g. private house owners. MD medium duty – medium frequency of use primarily by those with some incentive to exercise care, although with some chance of accidents or misuse. HD heavy duty – high frequency of use by the public and others with little incentive to exercise care where accidents or misuse could occur. SD severe duty – subject to frequent violent usage. GE Door Manufacturing doorsets are generally SD rated, however some high acoustic, and special performance doors will be HD. Strength – slamming, impact, torsion, deformation, closure against obstruction, resistance to jarring, abusive forces on door handle. Operation – ease of opening and closing. Dimensional requirements – stability, no bowing or twisting.